Not sure if this counts as a Farmer's Market, but Krugers Farm has opened up a permanent outpost in St. Johns. It is all outdoors - in the parking lot of what used to be a car repair place on the S side of Lombard. 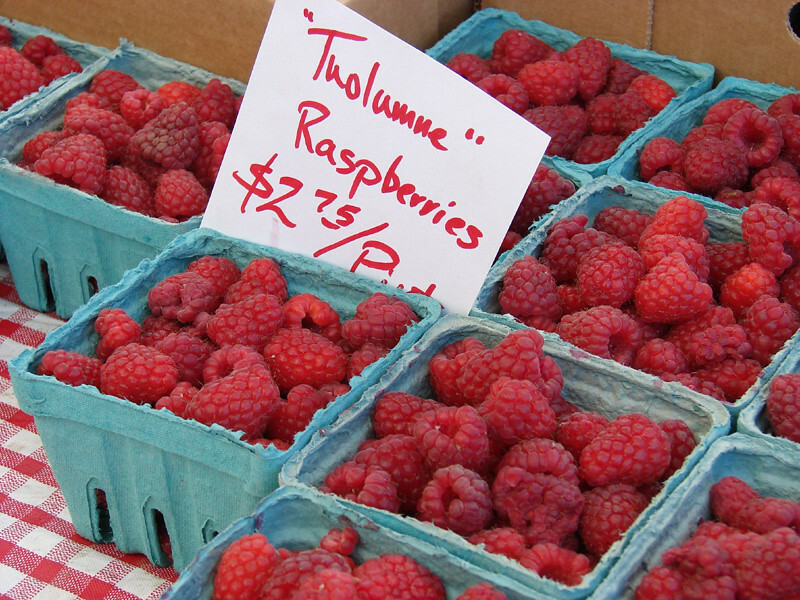 I stopped by today & picked up some decent Albions, plus raspberries, at very good prices. 2 pints strawberries + 3 1/2 pints raspberries for $7. Raspberries were a little mushy, but overall pretty good. Strawberries have been quite sweet. They had cherries, asparagus, lettuce, lots of other things that I didn't have time to take a peek at. They are going to be open every day (don't know hours) all year round except will be taking a break between Christmas and February. Pumpkins, Christmas trees, produce, and possibly fish or meat?? They had one of those plug-in refrigerated uncovered shelving-things filled with ice, but it was empty. 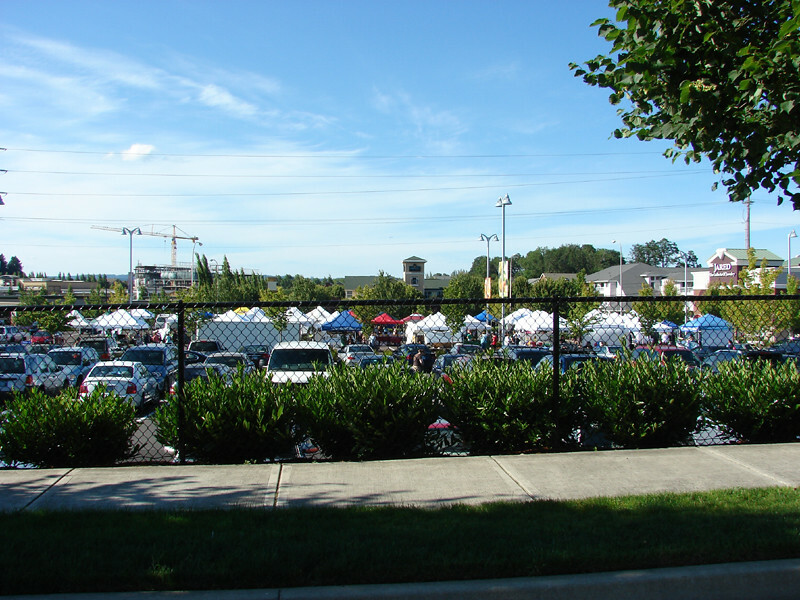 I checked out the new Wednesday Hillsboro Farmer’s market today. It’s in the Whole Foods parking lot in Tanasbourne, a block down from the Streets of Tanasbourne mall (REI, Macy’s, etc.). This new market opened June 16th. True to the Hillsboro Saturday market, there were lots of craft vendors for this small market, about the size of the Buckman market. But plenty of produce & prepared foods as well. A couple of vendors I hadn’t seen before, and a couple of favorites. Here’s a pic of the market. You can see the booths in the parking lot. 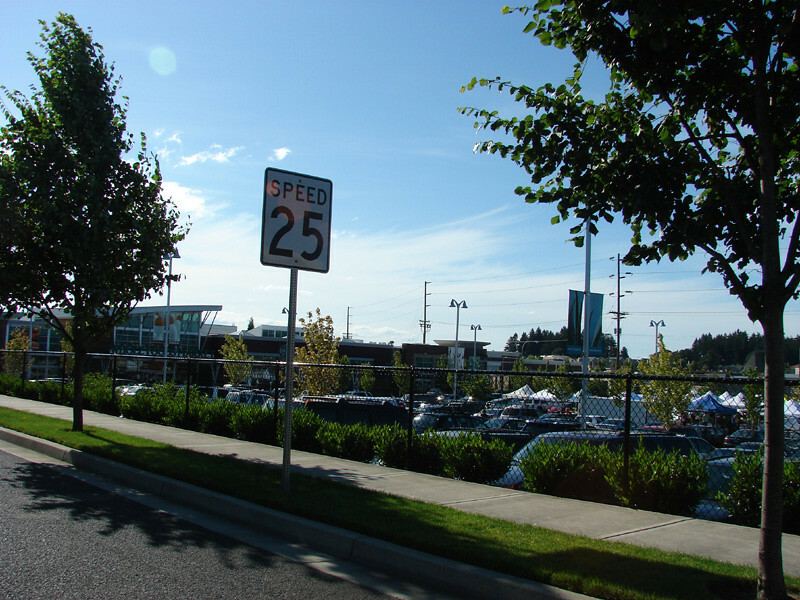 Plenty of parking everywhere in the Whole Foods lot, and across the street at The Springs assisted living facility. Also, Magnolia Park is across the street from here & they were having a free summer concert at 6:30pm. I can definitely see coming back here in 2 weeks to graze at the market for dinner, then head over to the park for the concert. Very low key & easy. There are 3 more concerts scheduled, July 14th, 28th and Aug 11th. Haven't seen this vendor before. 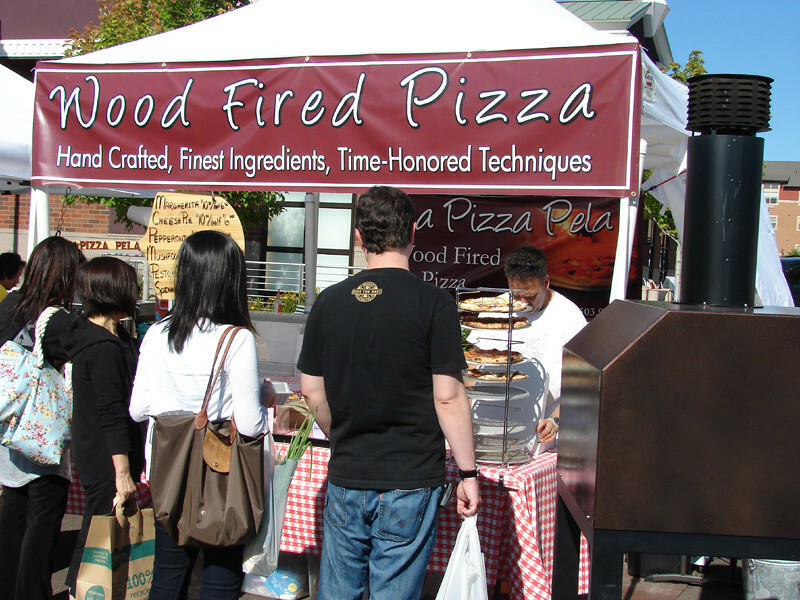 They were cooking up some nice looking wood-fired pizzas on site. You can see their little oven on the right side of the photo. The ricotta spinach pie looked beautiful. They also had freshly made beignets, which I thought was an odd combo with flinging pies, but they were very good. Light, airy, and not at all greasy. Loved em. These were $1 each. I didn't try the pizza but will when I come back either next week or the week after. Another vendor I hadn't seen before, Crepes a la Carte. 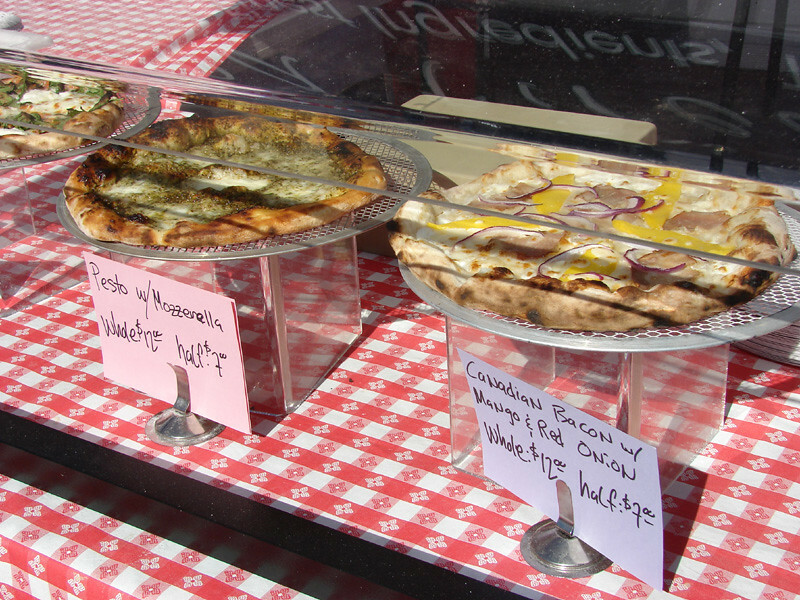 They were cooking up savory and sweet crepes, and have Gluten-Free batter also available. This is my favorite vendor at Orenco Sunday market. I call him the Peach Man, because he has the best Suncrest peaches every year. Today's Bing cherries were fantastic. He'll have Bings for another 2 weeks, then it's on to peaches in 3 weeks. Lots of nice produce all around. There was also Thai Satay House selling Thai food, a grass-fed meat vendor from Dallas, Oregon, Martinez Produce I think from Canby, strawberries, blueberries, a honey vendor and a pickled & fresh asparagus vendor. Were they selling beignets or zeppole? Zeppole are traditional at pizza joints in Brooklyn (and other parts of NYC), fried dough (a la beignets and funnel cakes) usually popped in a bag and doused with powdered sugar. I think Pat DiPrima (Di Prima Dolci) used to make them to order on Saturdays only here in Portland, don't know if she still does. Hey, thanks for the candid photo!! Do you mind if I save it for use on my blog, http://crepesalacarte.blogspot.com? Hi! 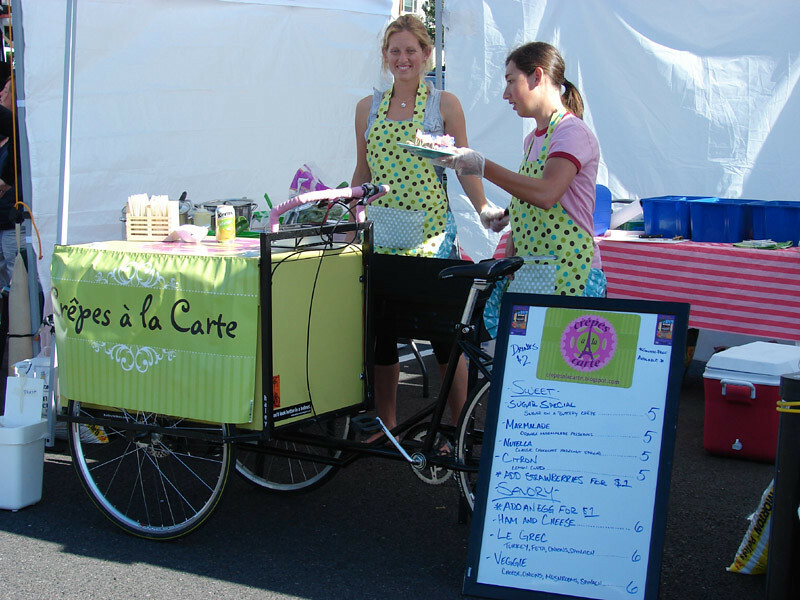 I'm the owner of Crêpes à la Carte, a Hillsboro market food cart. We proudly serve sweet, savory, and gluten-free crêpes. 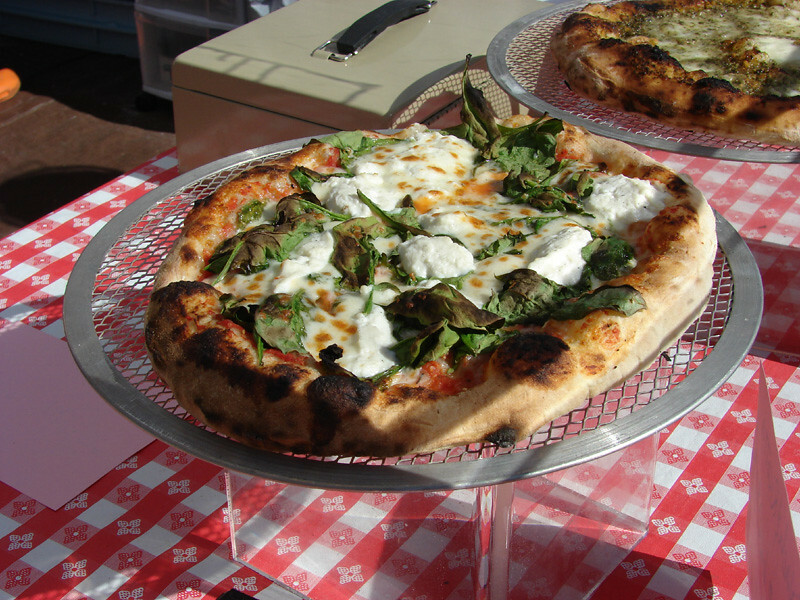 Visit us Orenco Sundays 10am-2pm @ Orenco Station OR Tanasbourne Wednesdays 4pm-7:30pm @ Whole Foods parking lot. Don't mind at all! I have one or two more, I'll PM you a link. Yesterday was just a great day at the Hillsdale FM. Sourced this morning's breakfast from Tastebud (bagels), cream cheese from one of the dairies, and lox from the guy who is there with smoked salmon. new Monday market at Pioneer Courthouse Square. Chantais melons at the Hillsdale Market today. Heaven. And the smoked salmon guy has a couple of new flavors. The maple wine smoked one is really good. And the flowers were great today so I got a nice bouquet, along with more mundane things. 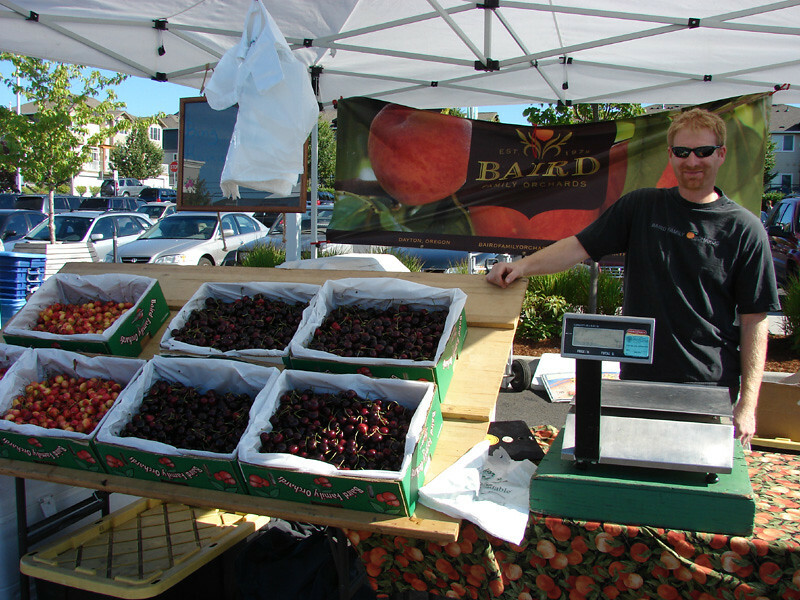 I've been getting Oregon Star tomatoes from Flamingo Ridge at Hillsdale most Sundays. They're a seedless and very tasty tomato created at U of O I believe. Make great gazpacho & BLTs. ..moved.. man, i always post in the wrong threads..
Hillsdale Market is on today, 10am - 2pm. January 11th: The Agricultural Reclamation Act, and what it means for YOU! Hear from FoFF's Megan Fehrman and several of our farmer/rancher delegates about the creation of the ARA, and how it is being used as a template to shape policy and legislation. The Oregon State House of Representatives already has House Bill 2222 in front of them, with issues pulled directly from the ARA. What does this mean for socially responsible family farmers in Oregon, and what does it mean for Eaters and Oregon citizens? Come join that discussion! 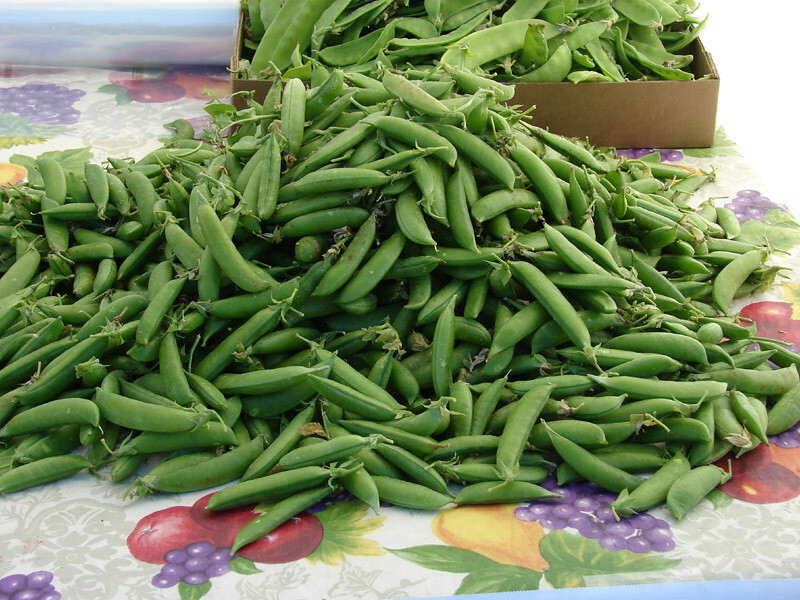 Hillsdale Farmer's Market tomorrow morning 10am - 2pm. Get their early, they were cleaned out last time by noon. Deep Roots is out and will be back in the Spring. OP was there, I'm hoping they will be there again tomorrow. Baker & Spice and Sweetwares celebrating National Pie Day/wknd just a half block from the farmer's market. 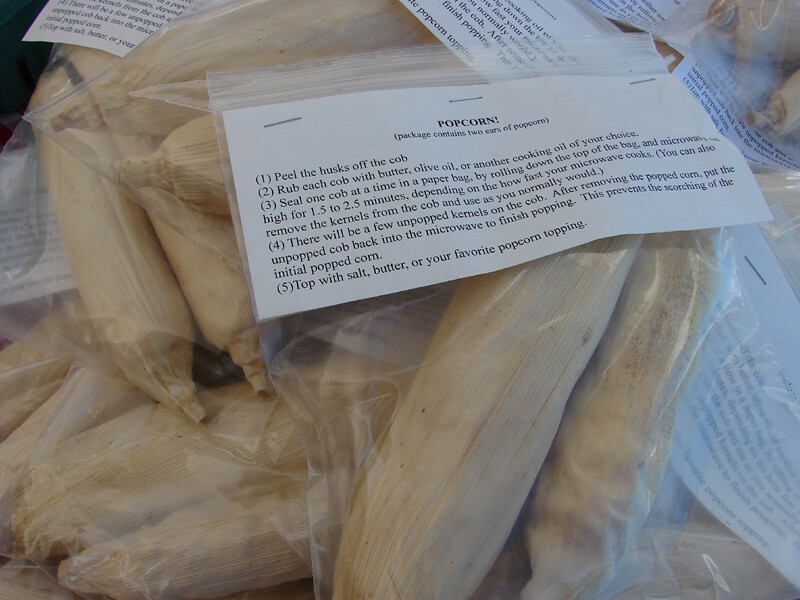 Rules for Oregon's farmer's markets could soon be law, allowing limited sales of certain processed food made in home kitchens. 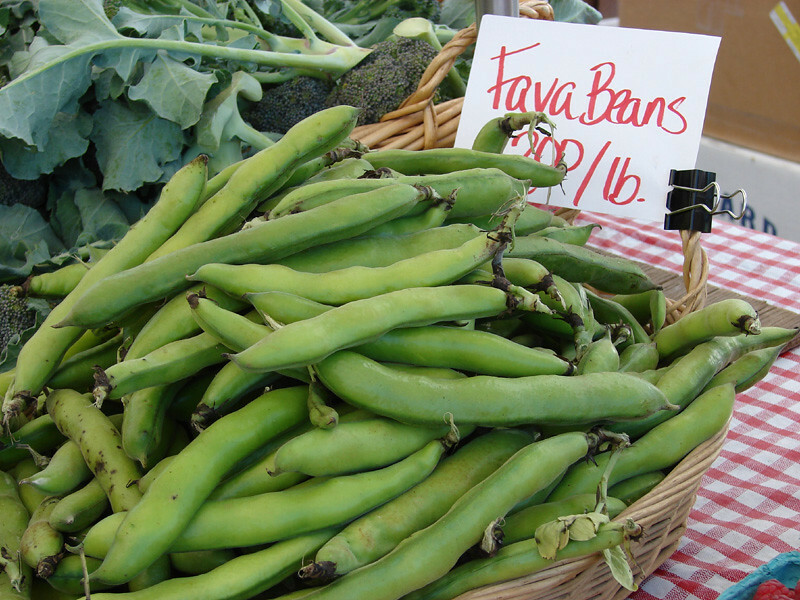 HB2336, which resembles 17 other cottage food bills across the country, would affect Oregon's 120 farmers markets and hundreds of small producers. It would allow them to sell unlimited quantities of their own fresh fruits, vegetables and herbs along with cured or dried fruit, vegetables and herbs. It also would allow sales of shelled and unshelled nuts; shell eggs; honey; and whole, hulled crushed or ground grains, legumes and seeds that are cooked before consumption....Farmers must grow all the food they sell, and sales of their processed products cannot exceed $20,000 a year. Champoeg Farm is doing an egg drop this Sunday 3/6 from Noon to 1pm at the Beaverton Farmer's Market location. They'll do this every other Sunday until the market opens back up in May. The only other eggs I've found to be this good are from Jacob's Creamery. They feed their chickens whey, and the yolks are as deep orange and rich tasting as Champoeg's eggs. They were at the every-other-Sunday Hillsdale market, but they weren't there at the last market on 2/20 so I'm not sure if they'll be there this Sunday or not. The chickens slow way down on egg laying in the winter.